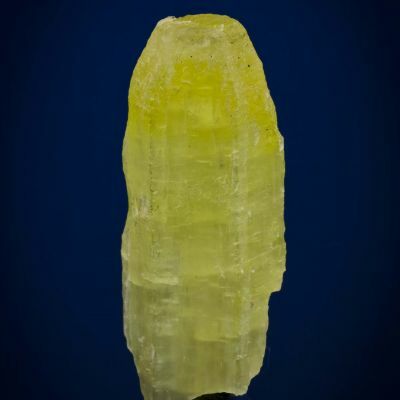 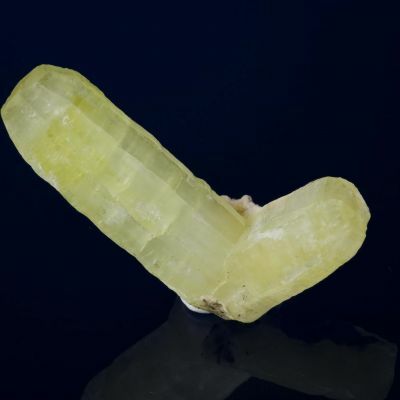 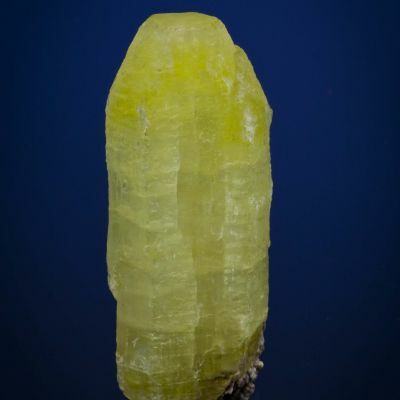 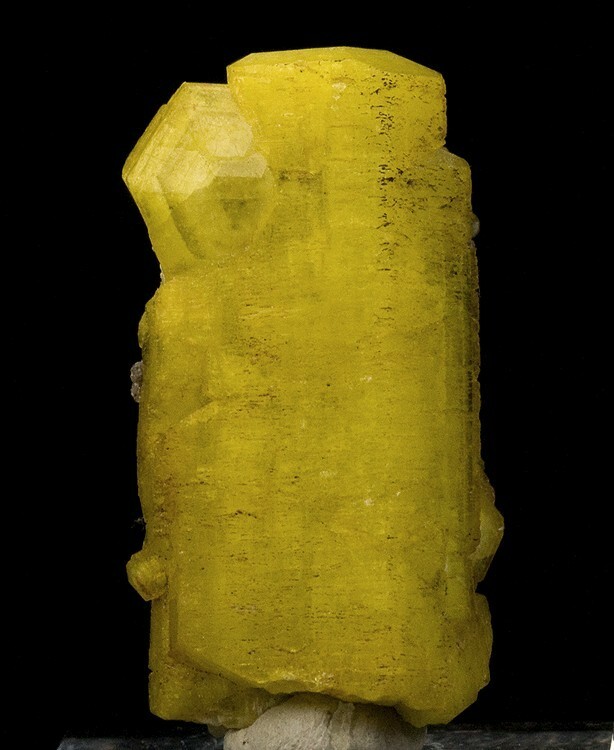 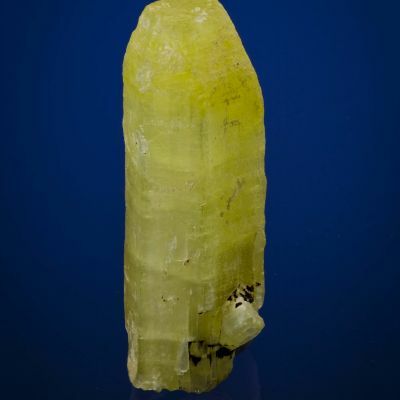 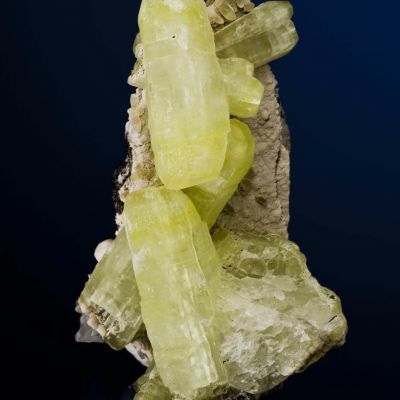 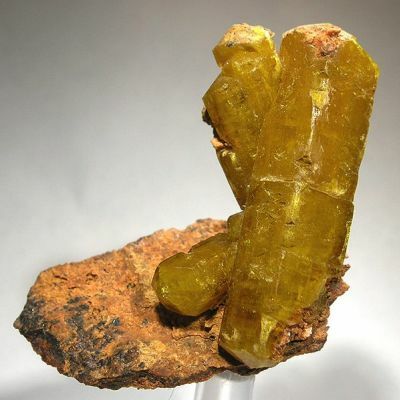 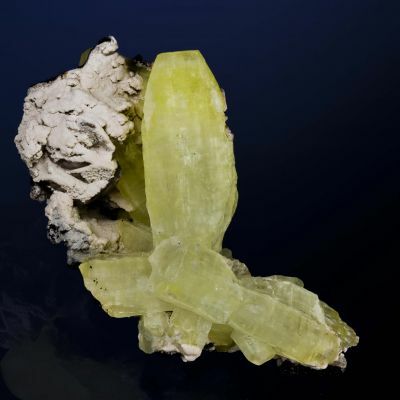 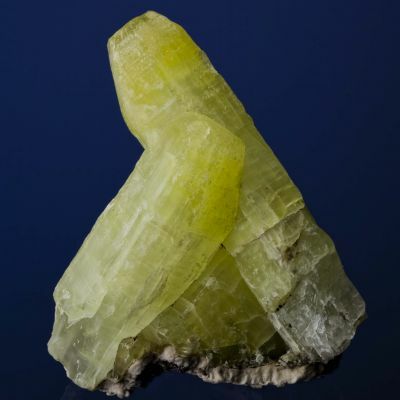 A large, sharp, nicely terminated, Sulfur-yellow ettringite crystal from the N'Chwaning II Mine of South Africa. 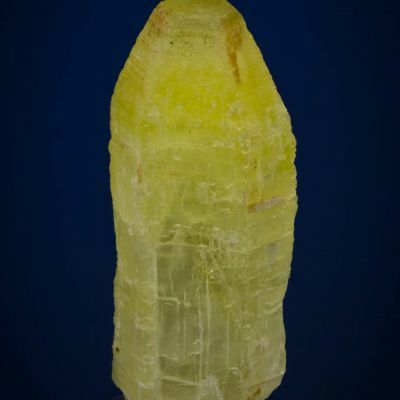 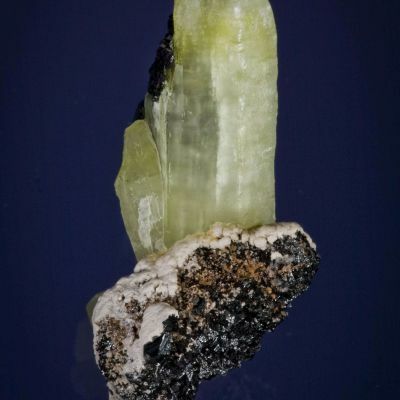 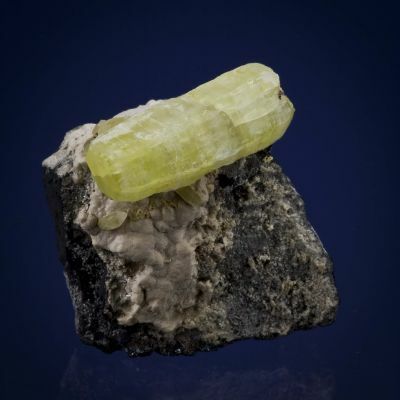 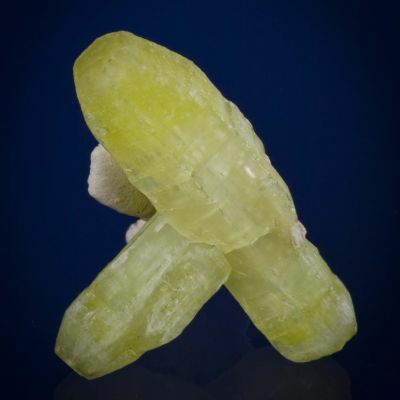 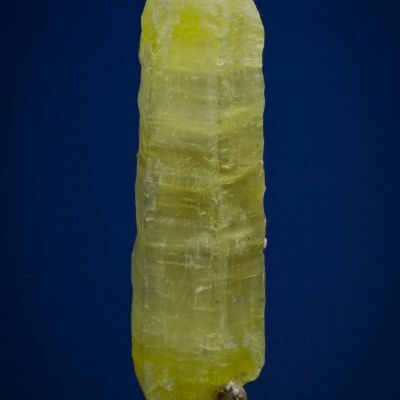 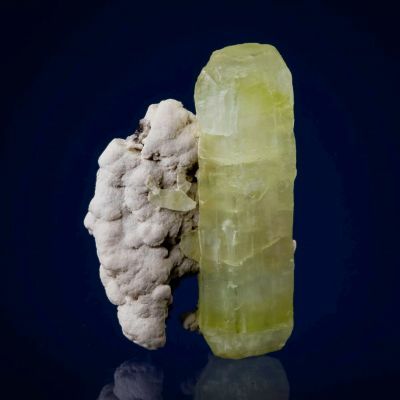 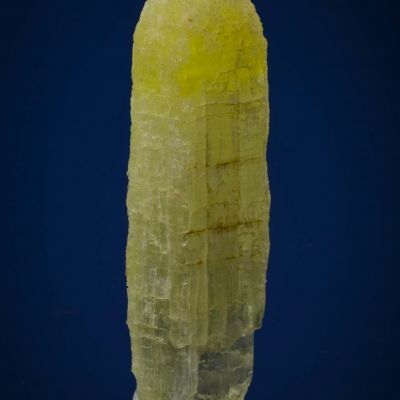 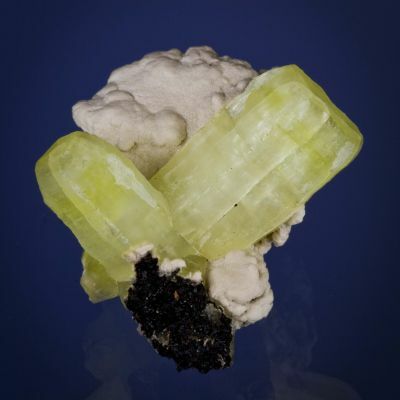 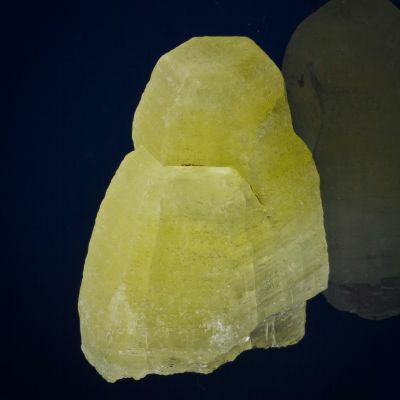 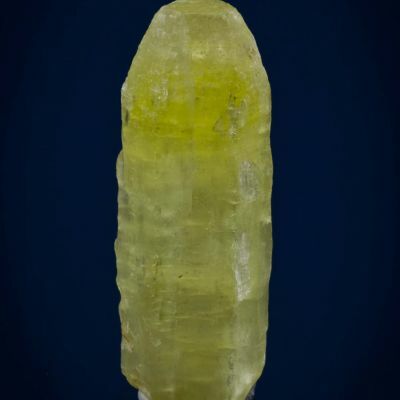 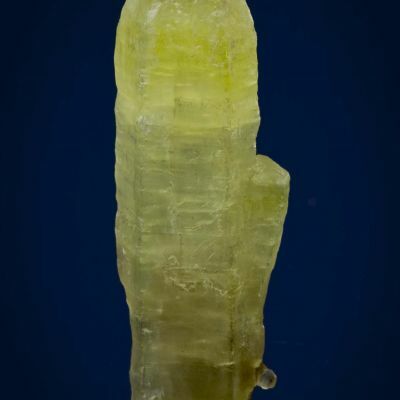 The highly lustrous, partially gemmy crystal has textbook, hexagonal crystal form and the little sidecar crystal near the termination is neat. 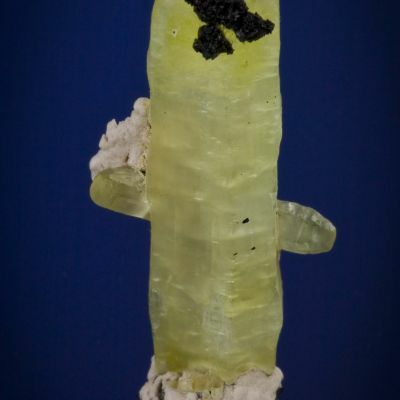 Very highly representative of the species and locale.